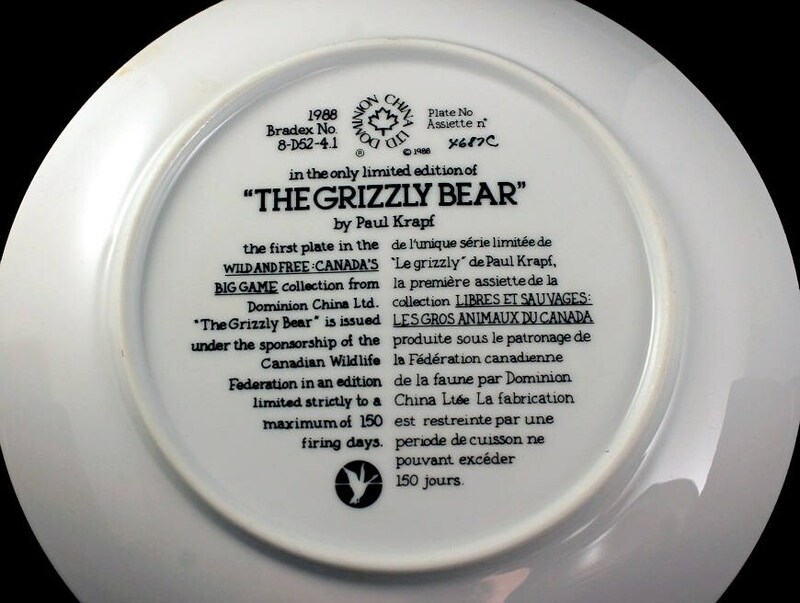 A wonderful limited edition 1988 collector plate by Dominion China 1st in the Wild and Free: Canada's Big Game Collection. The artist is Paul Krapf. 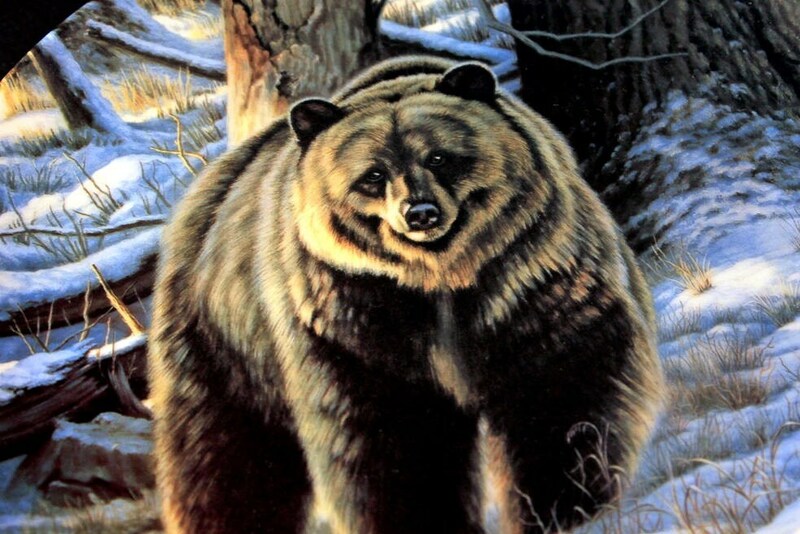 It is called 'The Grizzly Bear'. 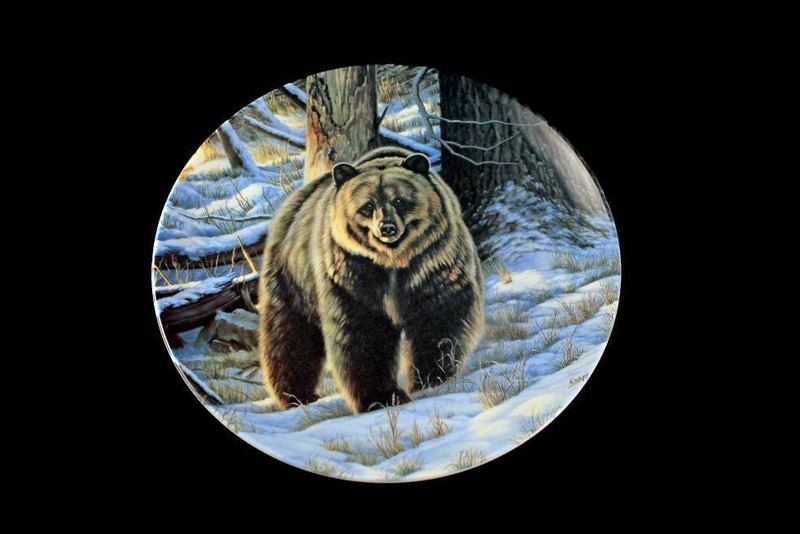 This would be a lovely addition to your home decor or as a gift for a bear lover. Great for hanging on a wall or added to a china cabinet. This plate is in 'like new' condition. There are no chips, cracks, or crazing. 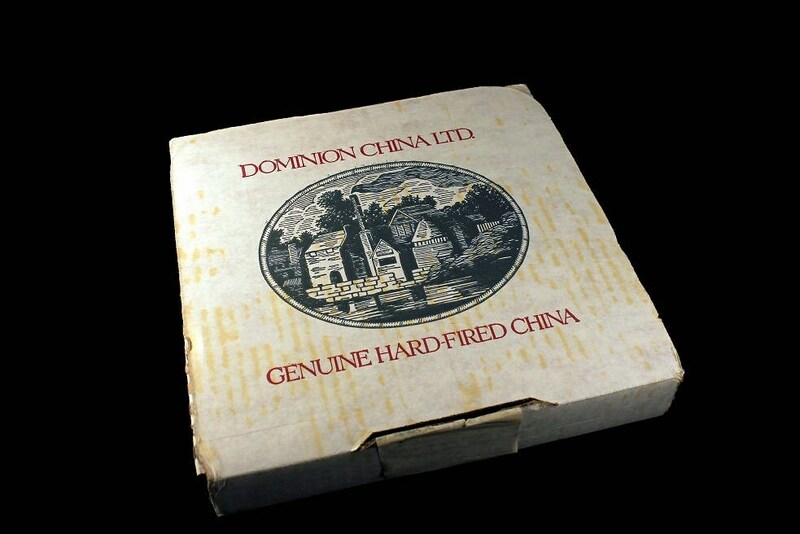 This is new in its original box. 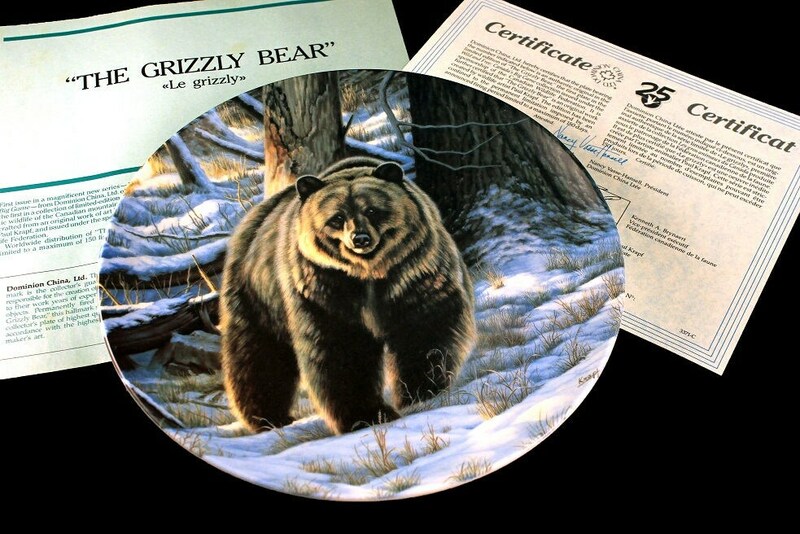 Looks as if this plate has never been taken out of the box. We took it out of its box for photographic reasons.